If you want information about Freemasonry, until now you’ve had the Internet — with a mishmash of information of dubious quality, not to mention all kinds of conspiracy theories — or a laborious search through dusty tomes in libraries. All this has changed as David Harrison, an author whose books on Freemasonry I’ve reviewed (see below) has written the perfect guide to the subject with his “A Quick Guide to Freemasonry” (Lewis Masonic, Hersham, Surrey, UK, 96 pages, black and white and color illustrations, $16.95, available on Amazon.com). This quality paperback is beautifully printed on glossy paper in a handy double-column format and has the answers to just about every question a new member would ask. It’s also aimed at lodge mentors and established members, Harrison told me. And, to make it useful for traveling Freemasons, it has information on the Craft as it’s practiced in the U.S., Canada, Australia and New Zealand. Harrison uses a Q and A format for his questions. If you want to know about the rolled up pants leg, you’ll find it here. Different colored aprons? Harrison explains their significance. White gloves and hats? It’s in the book. Harrison provides end notes and a bibliography. I found the FAQs to be very useful, and rituals in the UK and the U.S. are given proper attention — along with the aforementioned sections on Canada, Australia and New Zealand. Harrison covers the roles of the officers, the festive board, toasting, and an examination of all the current English Masonic rituals: Emulation, Bottomley, Nigerian, the Bristol, York and Hull working. Effectively, the handbook is an easy-to-understand beginners guide—a why, how, and when of Craft Freemasonry. And, to top off an excellent work, Harrison includes reliable web sites for Internet searchers — a valuable resource! 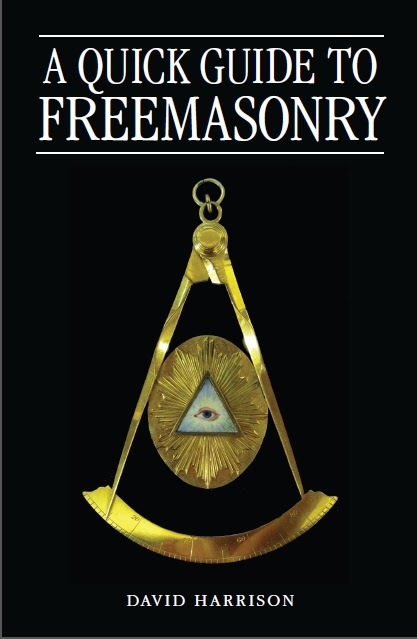 I recommend “A Quick Guide to Freemasonry” to members of the Craft, as well as those outside the Craft who want accurate information about Freemasonry. Did I say it’s beautifully designed and printed? Yes, I know I did! But it’s worth repeating; this is a handsome book that would make an ideal gift: a gift that would be appreciated.